Fungibility Explained | What is Fungibility and How Does it Work? If you have researched cryptocurrencies, then there are many economic and cryptographic terms you may have encountered along the way. You probably know they are tied to the concept of money somehow, but you might not be exactly sure what they mean. 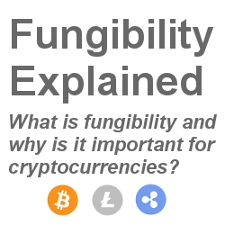 The term “fungibility” is one such term that a lot of people new to cryptocurrencies. Here is a closer look at the concept of fungibility, and how it is tied to cryptocurrencies. Fungibility is a feature of a commodity or a good, which, if possessed, means that the units of the particular good or commodity are interchangeable. For example, consider a dollar bill. There is an extremely large amount of dollar bills in circulation, yet every single dollar bill has the same worth: one dollar. Every dollar bill is interchangeable with any other, and they will all purchase the same amount of goods. The same is true for $5 bills, $10 bills, $20 bills, etc. However, it is not just currencies that are fungible, it is also things like precious metals, bonds, company stocks, and other commodities. But just because a thing may be highly desired and sometimes used as a means of exchange does not mean that it is necessarily fungible. Diamonds are a good example of this. The reason why diamonds are not fungible, or at least nowhere near as fungible as other things like precious metals is because diamonds of the same size are not interchangeable. This is because things like cut and clarity can dramatically alter the individuality of a diamond. That means diamonds are not very fungible. Why Is Fungibility Important For Money and Digital Currency? The reason why fungibility is so important for money and currencies is because without it, a currency is essentially not reliable. A currency – whether it be digital currency or physical, paper money – must be fungible if people are going to trust it to make daily transactions. If it is not fungible, then major problems can occur. For example, imagine if only some $20 bills were interchangeable with others, and many were not. If people tried to pay for things with $20 dollar bills that were not interchangeable with others, it would be complete madness. Fungibility helps a currency be able to be used reliably. Every unit of that currency is worth the same no matter which unit is being spent. Fungibility is a necessity for any means of exchange that is going to be widely used for daily transactions. How Does Fungibility Apply to Bitcoin and Cryptocurrencies? Fungibility is so relevant for Bitcoin and other cryptocurrencies because at the end of the day, they are currency. This means that they need to have fungibility in order to function properly. Without fungibility, Bitcoin and other cryptocurrencies like Ethereum and Litecoin would face severe challenges in their efforts to be used more and more for everyday transactions. 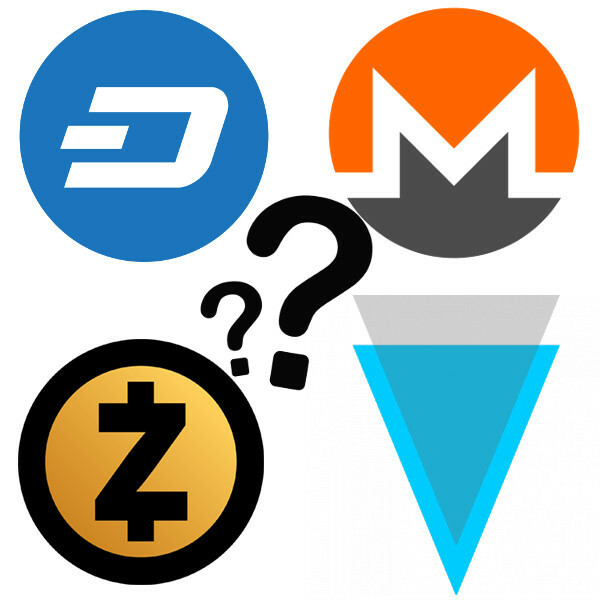 Considering the fact that cryptocurrencies already have a number of other difficulties in the path to becoming mainstream currencies (such as scaling and political resistance), a lack of fungibility is not something that most cryptocurrency supporters would like to see. Luckily, cryptocurrencies are extremely fungible. One Bitcoin anywhere in the world is still one Bitcoin. There are only 21 million Bitcoins that will ever be available to the public, and every single one is equal to one another. They are exactly the same. Bitcoin and many other cryptocurrency units are also highly divisible. This means that you can buy or sell fractions of them, such as 10 percent of a Bitcoin, or 20 percent of a Bitcoin, etc. Divisibility is another essential feature of currencies because not all goods and services will be priced in numbers that equate to whole Bitcoins. This is especially true considering the fact that the price of Bitcoin continues to rise (currently around $15,000). So, the vast majority of daily transactions will cost less than one bitcoin. Things like groceries, gas, clothing, etc, will typically be under $15,000. Some people get confused when they are trying to learn how fungibility works because prices can be different around the world, even when a commodity or currency is fungible. For example, there can be wild price fluctuations for goods bought with a currency, even if that currency is fungible. These price differences are why workers in China may work for $1-$2 an hour for a job that workers in America may charge $15-$20 for. It is normal for prices to fluctuate around the world. But even if prices fluctuate, it does not mean that a currency is not fungible. Sometimes, the prices for the currencies themselves can fluctuate wildly. Bitcoin is a prime example of this. The price of Bitcoin can sometimes rise or fall by as much as 30-40 percent in a single day. Further, because of the laws of supply and demand, Bitcoin can sell at a premium price in specific regions of the world, such as Zimbabwe. In fact, it is common for Bitcoin to sell at a 100% premium in Zimbabwe. However, despite the price fluctuations of Bitcoin around the world, one Bitcoin is still one Bitcoin, meaning that it is fungible. Every unit of Bitcoin is exactly the same. The same is true for most cryptocurrencies. In fact, due to the precision of software and mathematics, Bitcoin and other cryptocurrencies are some of the most fungible assets in the entire world. Will Fungibility Help Cryptocurrencies Replace Fiat Currencies? The extreme fungibility of cryptocurrencies is something that tends to make people have more faith in Bitcoin, Ethereum, and others as units of exchange. So, fungibility does help to support faith and trust in cryptocurrencies. This faith and trust could hypothetically help fuel the rise of cryptocurrencies as mainstream units of exchange. However, cryptocurrencies have a long way to go before they could hypothetically replace standard fiat currencies as the most popular means of exchange. There are a number of reasons for this. First, governments control standard, paper-based fiat currencies such as the U.S. Dollar and the Euro. Because of this, they are able to print money whenever they want to. This gives the government a large degree of power over currency. With cryptocurrencies, governments do not have this power, as there is a finite amount of each cryptocurrency. So, if cryptocurrencies were to supplant government-issued fiat currencies as primary units of exchange, it would mean that governments would have to give up a lot of financial power. Naturally, this is unlikely to be appealing to many governments. When nations get into trouble, or if governments simply want to spend more money, they often just print more money to pay the bills. The “quantitative easing” (money printing and injection into the market) that was done following the 2008 housing crisis is a prime example of this. It is estimated that roughly $12 trillion has been created by the Federal Reserve since the 2008 crisis. If cryptocurrencies replaced fiat currencies, then governments would not be able to print money to influence markets and financial policies. This means that cryptocurrencies are likely to meet a lot of resistance from governments if they continue to rise in popularity due to features like extreme fungibility. However, it is not just governments who may resist the rise of cryptocurrencies as primary currencies. Many people around the world are used to using national currencies for their daily transactions. Change is something that is not looked on as desirable by many people. So there could be significant resistance by people around the world who want to keep using their familiar national currencies. But despite the present and potential future resistance to cryptocurrencies, Bitcoin and many other cryptos continue to rise in value. So, it is quite possible that the trend of increasing cryptocurrency popularity could definitely continue for years into the future. Cryptocurrencies are fungible, divisible, scarce, portable, and durable. All of these features are essential for a currency. After reading this article, you should have a much better understanding of the concept of fungibility. Fungibility ensures that certain currencies and commodities are interchangeable in terms of equal units. Cryptocurrencies, normal currencies, and other assets like gold are all fungible. The fact that they are all fungible helps contribute to their use as mediums of exchange. Although cryptocurrencies are fungible, they lack one major feature of fiat currencies and gold which could temporarily limit their progress: acceptability. Many merchants around the world still refuse to accept cryptocurrencies. However, this is rapidly changing. 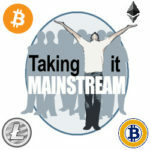 In fact, major companies such as Overstock.com, Microsoft, and Tesla now accept and use cryptocurrencies. Because so many gigantic companies are starting to accept cryptocurrencies, there is a very good chance that many others could soon follow suit. Once wide-scale acceptability is reached, then it is likely that cryptocurrencies will begin to provide much stronger competition for standard fiat currencies, and possibly also, precious metals. If, for some reason, there is a disturbance in the fungibility of cryptocurrencies, then this could severely impact their functionality as currencies. For example, if Bitcoin was somehow hacked and the units were altered so that they were not equal, then this could potentially ruin the fungibility of Bitcoin. However, nothing like this has happened in Bitcoin’s entire history. In fact, the underlying technology of most cryptocurrencies has proven to be very solid. Part of the reason why cryptocurrency technology is so strong is because many cryptocurrencies use an open-source blockchain. An open-source blockchain allows every developer and miner who views the blockchain to see if major alterations are being made. 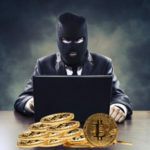 So, in essence the system in which thousands of people and advanced computing programs around the world constantly monitor the integrity of cryptocurrency protocols has thus far proven itself to be very reliable. This reliability helps to preserve the fungibility of many cryptocurrencies.